423 150th Avenue Unit 1302, Madeira Beach Property for Sale in 423 , it has 2 bedrooms, 2 bathrooms with 1350 square feet. Beautiful Snug Harbour Waterfront Community! 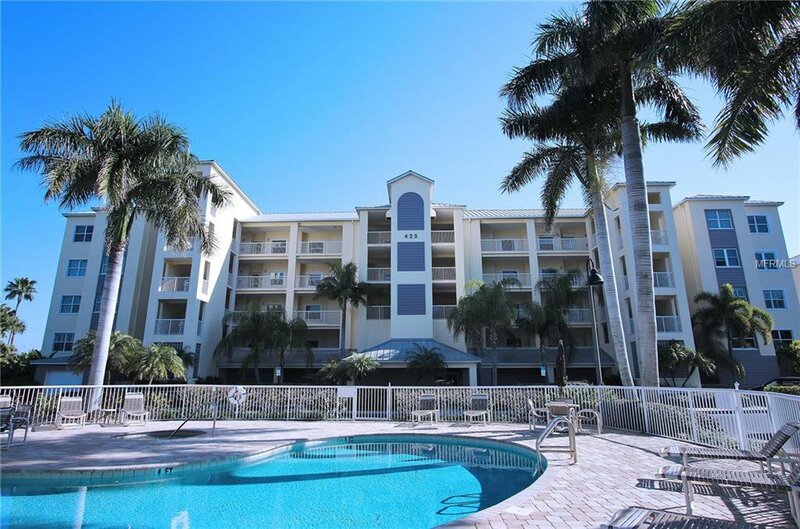 This spacious 2 bedroom 2 bath condo located in Madeira Beach offers its own private garage located on the first floor and a secured front lobby entrance. Enjoy relaxing and watching the sunset from the screened balcony. The split floor plan offers lots of natural light, soaring ceilings, tile throughout the main living areas with an open concept, upgraded lighting and ceiling fans, newer stainless appliances, and inside laundry. The large master suite comes equipped with his and her walk in closets, double vanities and a separate entrance to the balcony. Walk to the beach, shops, or relax poolside. This is a pet friendly complex seconds from the Gulf of Mexico. Bring your kayak, bike, or boat. Don't let this one slip away! Call today for your private showing!! Listing courtesy of KELLER WILLIAMS GULF BEACHES. Selling Office: ROE REALTY.